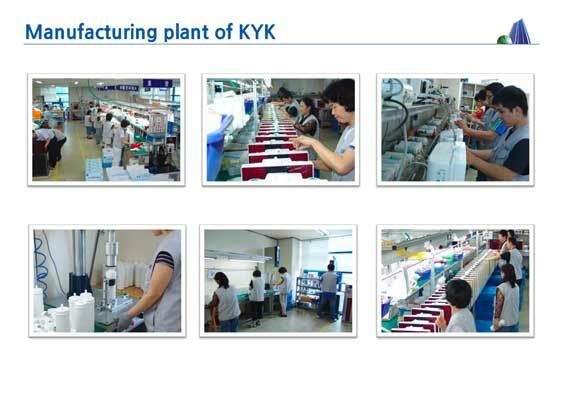 KYK - In 2011, KYK Water Ionizers have been distributed in Korea and Japan for 19 years, in the USA for 7 years, in NZ about 4 years. KYK won many product awards for invention and quality, amongst them 2 Gold medals at the International convention in Jena, Germany. 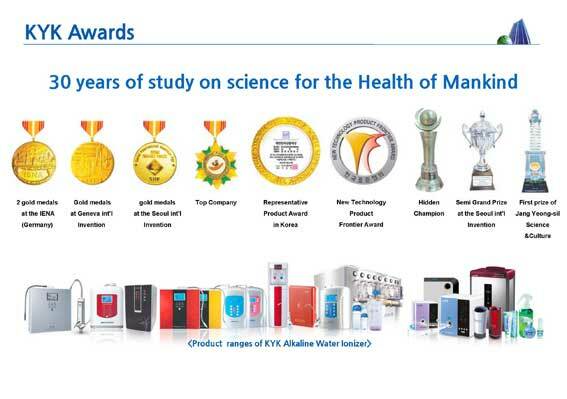 KYK has been researching water for many years lead by Dr. Kim Young Kwi. He is a doctor whose interests have been natural medicine, health and water. He has written numerous articles and research papers nationally and internationally. Amongst the many awards for research or product development, he won the National Science and Technology award with Prof. Dr. Shirahata, Japan for their research of the relationship between water and illness. 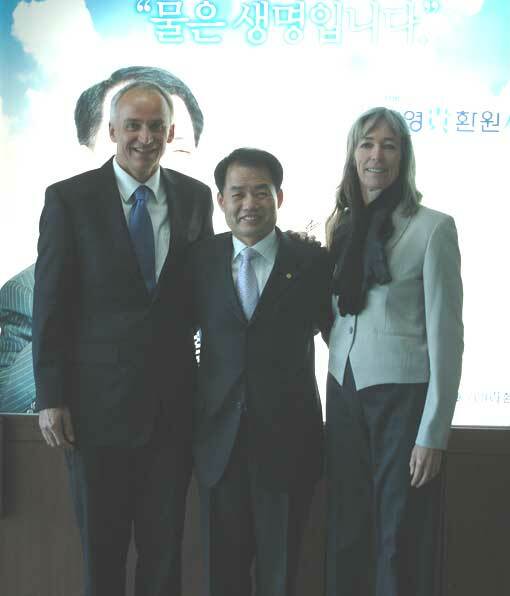 Dr Kim Young Kwi with IONZA directors Joseph Blessing and Brook Weatherwell in Korea.